CHICAGO -- On Oct. 8, Amazon Go opened its second Chicago location at 144 S. Clark St., with a third coming soon. For a tour of the first Chicago Amazon Go location, click here. 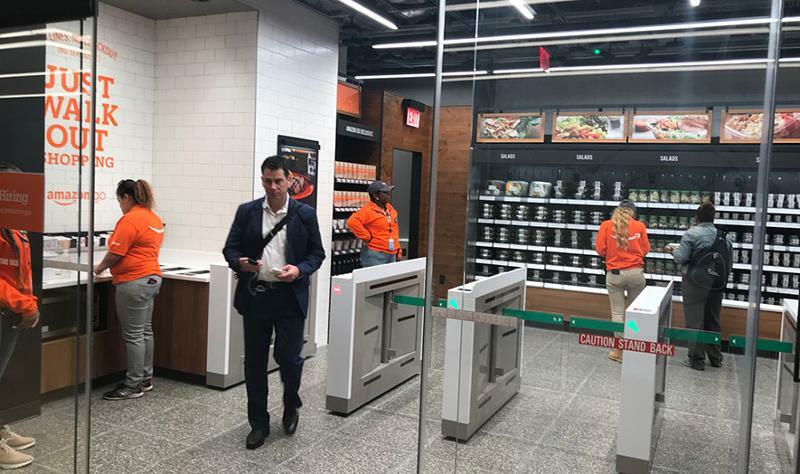 At 1,200 square feet, the newest cashierless convenience store with “just walk out” technology—Amazon Go’s fifth overall—is notably smaller than the first Amazon Go in Chicago, which opened in mid-September and takes up about 2,000 square feet of space just northeast of the Willis Tower (formerly the Sears Tower). Seattle-based Amazon reportedly plans to open as many as 3,000 new Amazon Go stores by 2021. Although smaller in stature, the second Windy City location has offerings that are almost identical to the first. 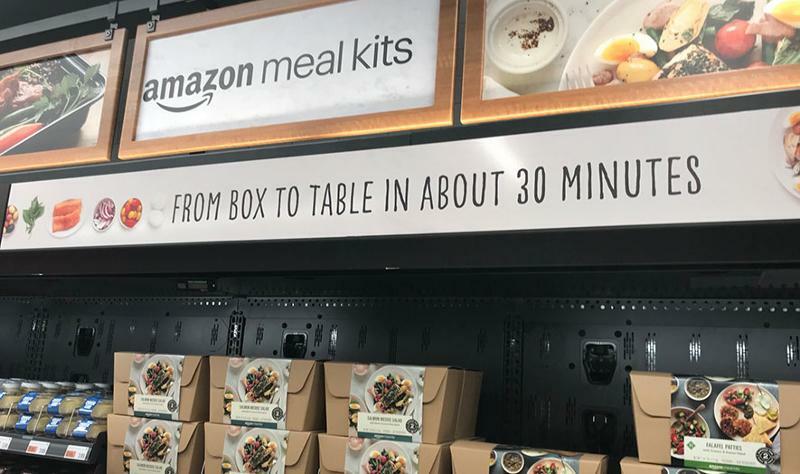 Both offer quick snacks such as chips and candy; packaged beverages, including cold-brew coffee and juice; grab-and-go breakfast, lunch and dinner options such as sandwiches, salads and wraps; frozen desserts and meals; and Amazon Meal Kits, which can be prepared in about 30 minutes. They do differ in one regard: home goods. The location near Willis Tower offers more household items such as dish soap, hand soap and batteries, as well as travel-size items, including lotion, sunscreen, deodorant and over-the-counter medicine. Open 6 a.m. to 9 p.m. Monday through Friday, the Clark Street location also features items from several local vendors, including Farmers Fridge, Fairgrounds/606 Fresh, Troubadour Bakery, I Love Sweets and Argo Tea. Amazon has been getting positive feedback since opening the first Chicago location, Dilip Kumar, vice president of technology for Amazon Go and Amazon Books, told the Chicago Tribune. He said customers seem to like the products from local vendors, and that the meal kits have been popular. 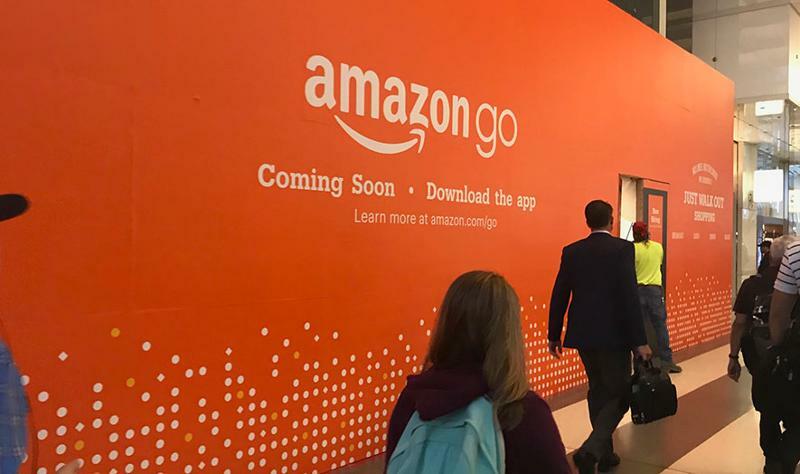 While it didn’t give a date, Amazon did confirm the third Chicago location is expected to open soon on the second level of Ogilvie Transportation Center, a passenger terminal in downtown that serves three commuter rail lines—a prime location for Amazon Go. The Ogilvie location “plays to the strengths of what the store is really good at, which is delivering good food fast in a convenient way,” Kumar told the Tribune. 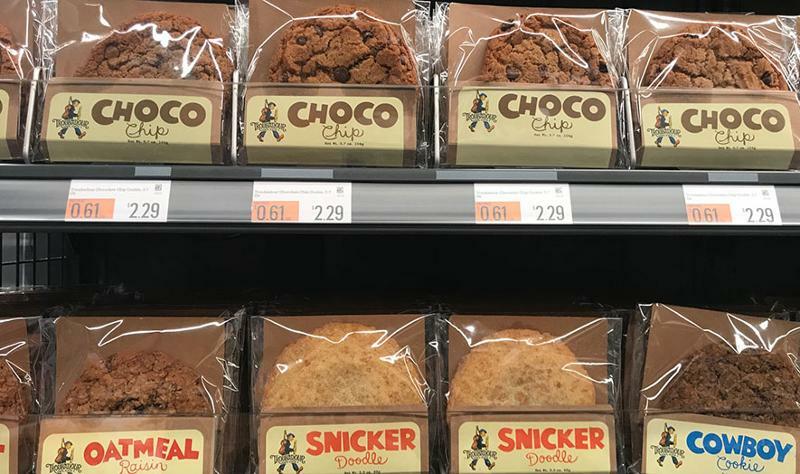 At 1,700 square feet, the store will offer breakfast, lunch, dinner and snack options similar to that of the other two Chicago stores.